We’ve seen Runner games galore, and we even got an Endless Driving game of sorts earlier in the week. Ready for an adventure-based running game? 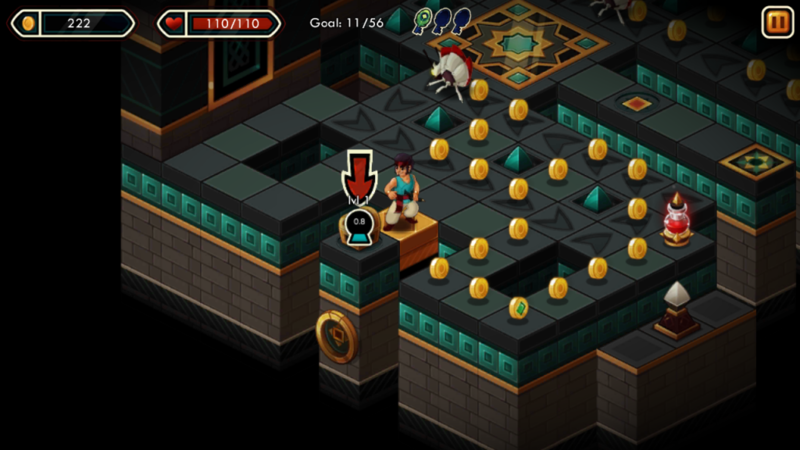 Treasure Tower Sprint touts itself as the first adventure-runner, and you’ll take control of the coin collecting Prince who searches towers for piles of gold. The game has an Arabian Nights kind of vibe, and there’s even a Djinn that helps you out with some upgrades along the way. The gameplay is simple as all you need to do is collect every coin on each level. Once you’ve done so a stairway will appear, and it’s on to the next level of the tower. You will encounter resistance along the way in the form of tower guardians and other various baddies – it starts out fairly easy, but don’t be fooled, some of the tower creatures are pretty damned tough. You have the option of avoiding them altogether or fighting them which isn’t as fun as you’d think. You automatically attack an enemy by running into them, and that’s about it. 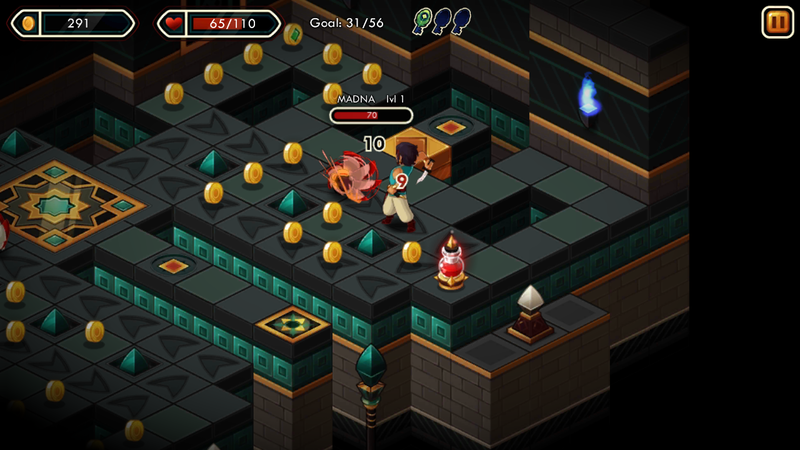 The gameplay behind Treasure Tower Sprint isn’t swipe-based as the “runner” tag implies either although you do have the option of a virtual joystick or touch controls. I had quite a bit of fun playing Treasure Tower Sprint with one exception – the controls. Touch-based or joystick, it doesn’t make a difference as the controls aren’t the best and it drags the fun factor down a bit. It’s still a solid game, if you can get past the funky controls. If you want to give it a shot, you can pick up Sava Transmedia’s Treasure Tower Sprint for $0.99 on Google Play.